The post “There is no way I can be pregnant. 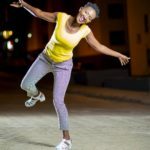 I always use protection” Churchill Show comedian Mammito comes clean after word she’s heavy with a baby appeared first on Ghafla! Kenya.